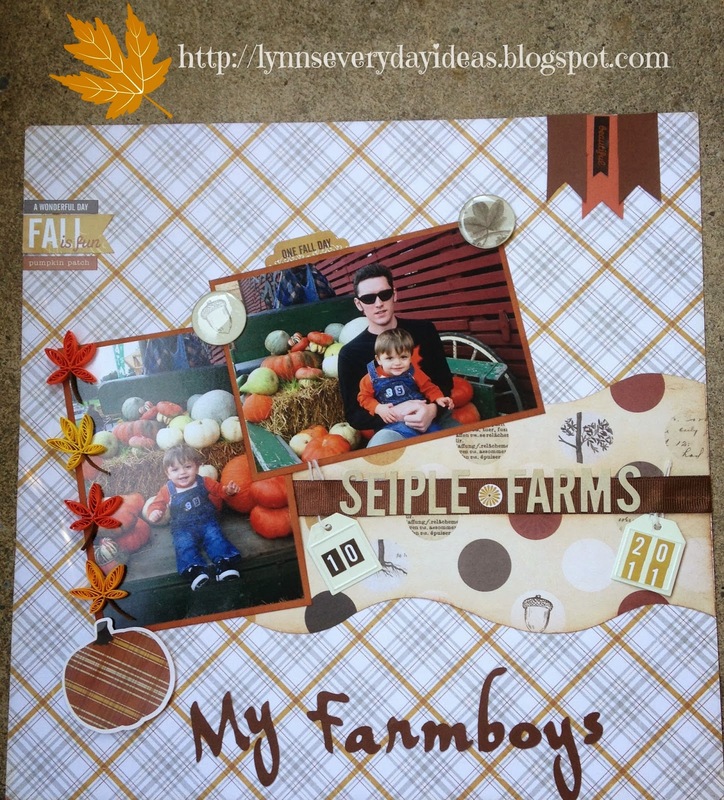 Hi everyone, and welcome to the ScrapStuffz Inspired By Hooray for Fall Blog Hop. If you arrived here from Stephanie’s blog you’re in the right place. If you got lost along the way head back over to the ScapStuffz blog to start over. 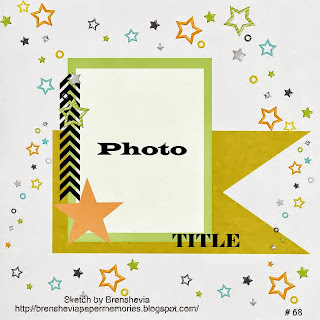 We were given an inspiration photo this month as well as an awesome sketch provided by Brenshevia. Each item was so wonderful that you could have done an awesome layout with either one, but combine them and you have something stupendous! I was inspired in the photo by the pumpkins and leaves. I finally pulled out the photos from M’s first trip to the pumpkin patch. He was eleven months old at the time and is now about a month from being three!! I used quilled leaves I purchased from a lady on Facebook (wish I could remember who to send you there), Epiphany crafts round epoxy punch, Kiwi Lane Designs templates, and Echo Park’s Fall reflections. 1. Leave a comment on each blog along the hop. 2. Create a LO inspired by the photo and using the sketch, post it using our link up by NOV 1. Now head over to see the fabulous inspiration Melissa has for you! 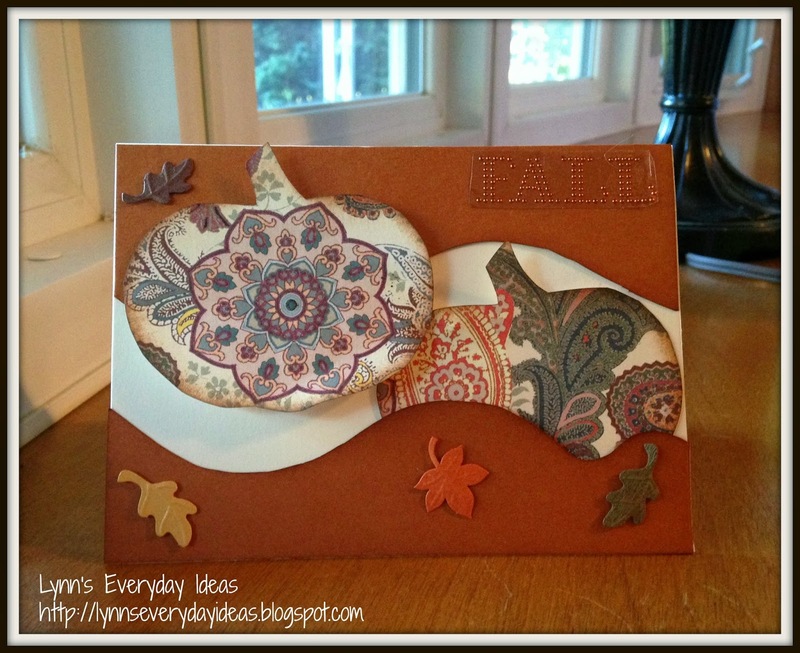 Welcome to the Kiwi Lane blog hop. You should have arrived here from La-Vie’s blog. If you happen to get lost along the way you can always head back to Kiwi Lane’s blog for the complete blog order. I am very excited to be included in the hop, and couldn’t wait to see what designer templates I’d get to work with. I was graciously sent the Tiny Holiday and Abbie Road Mini sets. I think the Tiny Holiday set could be used on both cards and layouts. The Abbie Road is definitely geared more towards cards, but I could see using them as boarders for journalling or certain pictures on a layout. The products really are very versatile. Since National Card Making Day is during the hop, and there is a fun challenge at Kiwi Lane in honor of that, I made two different cards. Be sure you check the challenge out, and get in on the fun! My first card is very clean and simple. I used one of the borders and the ornament from the holiday set. I wanted to show how easy the sets are to use for different ideas, so I turned the ornament upside down and turned them into balloons. The balloons have some stickels on them for a bit of interest, and I used twine for the balloon strings. For my second card I wanted to have less white space so I used both the A and B sides of the borders, but cut them in different spots. I then tucked on pumpkin under part of the boarder and popped the other up with foam dots. A few fall stickers and I was good to go. There is a lot of depth and interest, but with the matching waves it doesn’t look overly busy…I love it! Do do you want to get a chance to use the awesome KLD templates!? Of course you do! All you have to leave is leave a comment on the blogs along the way, and a random winner will get a $25 gift certificate to the shop. Winner to be announced October 10th on their blog. Good Luck! Thank you so much for joining us. I’m glad you’re here! I hope you’ll follow my blog and Facebook page to see more of my creations. 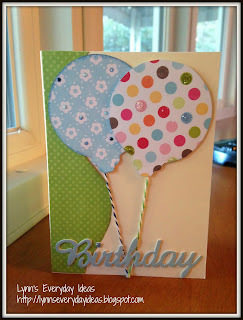 Now head on to Jennifer’s blog to see her awesome work. I’d love if you followed me to see all my new ideas! I have all my links in the upper right corner. Thanks again! We were asked to create a project using at least four of the five fall colors given. It also needed to be either fall related or have something to do with being thankful. I created a gift bag out of four tags using the colors and fall stamps. 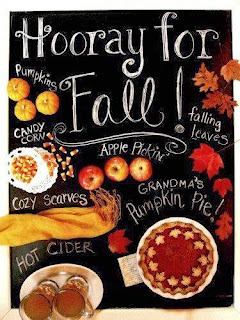 The larger leaves and pumpkins are a Stampin’ Up set Paisley Prints. The smaller items I stamped with Denami’s Autumn Set that I then colored with a blender pen and my stamp pads. I scored it and attached with red line tape. To make the handle I just tied a length of ribbon in each of the opposing tag wholes. Really simple to do. To give you an idea of how big it is I placed a bottle of glimmer mist in the bag. As you can see it just barely peaks out the top, and it does wiggle side to side. I think if you were going to a swap or white elephant scrapbook event it would be the perfect gift. Kraftie Kre8ations is proud to have this opportunity to introduce our “new design team” members. We have a talented group of ladies starting this month. Here is their opportunity to introduce themselves and for us to allow them to truly shine. Just wait until you see what they have to show you on this hop! Our sponsor for this hop is Stampin Up! So for the hop we were asked to create an artist trading card that shows who we are. My first card shows the life I always thought I’d have. I would travel or live somewhere abroad, Paris was my first choice, and it would just be me. Well, then I met the man who would become my husband and my how things have changed! We travelled before we had M, but choose to stick somewhere closer to home now. You know what!? Even though it’s not what I imaged…I wouldn’t trade it for the world! I love very part of our life. Okay, I lie…I hate to have to go to work, but who doesn’t! We also were given a few questions, and photos to post to help you get to know us better. 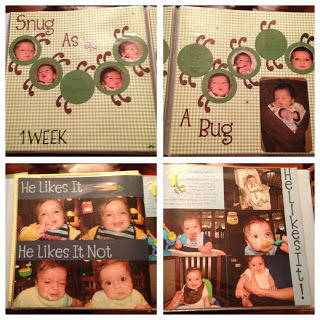 What is my scrapbook “kryptonite” or what will you never see on my pages? The answer is probably two things – feathers and cartoon people. I don’t mean like Woody from Toy Story, but just cut out of people that don’t look real…it’s just not my thing. What do I like to watch or listen to while I scrap and why? I am usually listening to some sort of Disney or Pixar movie, as I do most of my scrapping when M is winding down watching a movie. If I happen to be alone I’ll put on an old favorite movie. I don’t tend to watch new things because I’ll miss something in either the movie or the project. How do I jump start my creativity when it’s missing? Pinterest or Google images. I’ll do a quick search for scrapbook sketches or the topic I’m working on and I usually find something that speaks to me. If it’s really bad I’ll walk away, get something else done, and come back to it. At what time of day and I most creative or do I prefer to work? I’m usually up at 5:30 for work and I find on the weekend even when my family sleeps in I’m often the first one up. I like to sneak down to my table and work in the peace and quiet before the hub ub of the day begins. What is my favorite technique right now and what are some tried and true that I love? Glitter of any kind and matchy matchy. I really am one of those people who likes all my things to match perfectly. It’s why I’ve given in to buying paper pack rather than single sheets since I know they all match. So now let me tell you how this hop is going to work! After the hop, we will select the lucky winner from those who commented along the way, and became a new follower of the Kraftie Kre8ations’s Blog, which is the last stop on on the blog trail. We hope that you enjoy our welcoming blog hop! Welcome back! I want to say a quick thank you for making my first blog hop a great success. I appreciate each of your comments and the follows on all my different media sites. We couldn’t have done this without all of you. So now on to what everyone is really waiting for. The winner of my giveaway is …drumroll please…. Congrats Traci! Please contact me by July 3rd with your mailing info. Also, don’t forget to check out the other blog participant’s pages to see, and congratulate, their winners. Again, thank you all for your support. Stay tuned as I have my first design team reveal project coming up, and some cards I’ve been working on ready to post.